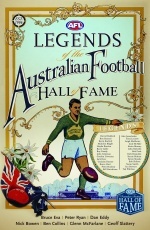 Ablett, Brereton, Matthews, Bartlett, Doull, DiPierdomenico, Lockett, Barassi, Hafey, Jeans, Sheedy and Dyer. Just some of the names who made 1980s football a sight (and sound) to behold. If the 1970s was the decade the game went technicolour, the 80s—spanning from the dying days of Richmond’s golden era, through the rise of Allan Jeans’ indestructible Hawks and Kevin Sheedy’s brilliant Bombers, and culminating in the peerless 1989 Grand Final—was heaven for footy purists. 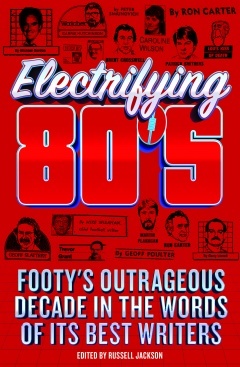 In Electrifying 80s, all the outsized characters and eye-popping events of a colourful football decade are brought back to life in the words of an equally impressive cast of football writers, including Mike Sheahan, Trevor Grant, Martin Flanagan, Garrie Hutchinson, Scot Palmer, Garry Linnell and Caroline Wilson. If the action on the field was memorable, so too was the writing of a richly talented and innovative generation of sports journalists. Trawling through a decade of the best writing in the major Melbourne newspapers, editor Russell Jackson has collected the profiles, match reports, columns and feature articles that explain one of the most eventual 10-year stretches in AFL history. 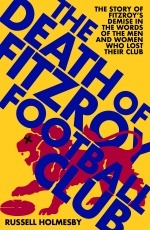 Moving from the boardrooms of a financially stricken game, to the windswept terraces of the suburban stadiums which still endured, and into the middle of the ground among a host of all-time greats, readers will delight in the crunching tackles, soaring marks and shocking antics. 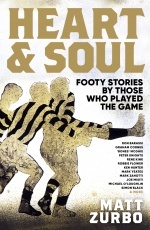 Reviving memories of cult heroes like Rene Kink, Mark ‘Jacko’ Jackson, Peter Bosustow, Billy Duckworth, Vinny Catoggio, Leon Baker and Warwick Capper, Electrifying 80s is the perfect piece of nostalgia for lovers of the game who cherished the days of flawed heroes, lukewarm pies and the crumbling splendour of the suburban outer, where myths and legends were born. ABOUT THE AUTHOR: Russell Jackson is The Slattery Media Group’s senior editor, and a former sports editor and columnist at Guardian Australia. His writing has appeared in numerous books and anthologies, and in the 1980s he experienced the misfortune of choosing to support St Kilda, the club which collected more wooden spoons than anyone else.